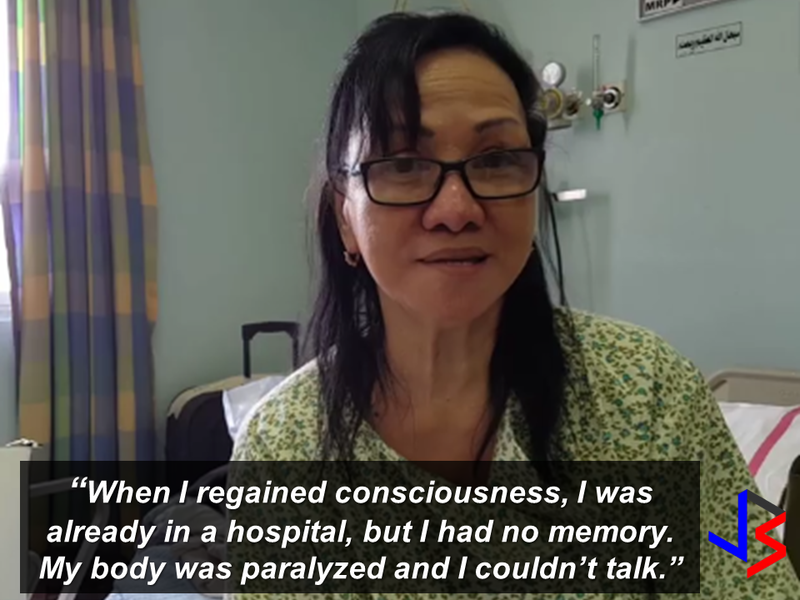 An OFW who had been abandoned unconscious on the road after suffering a memory loss due to a complication from diabetes in December of 2014 is finally homebound to be with her family in the Philippines. Milagros Chenilla, 63, while on the way to a job interview with some friends has suffered temporary memory loss and fainted, when she woke up, she does not know anything about herself. She was working as a teacher in Abu Dhabi for 6 years. After she lost her job, Chenilla stayed there for almost a year as an undocumented worker. A good samaritan fellow OFW Ray Angulo, a volunteer social worker who had helped Chenilla from day one, said her friends left her unconscious on a street in Al Ghusais probably because of fear taht they would get caught by the authorities as they were also illegal residents. 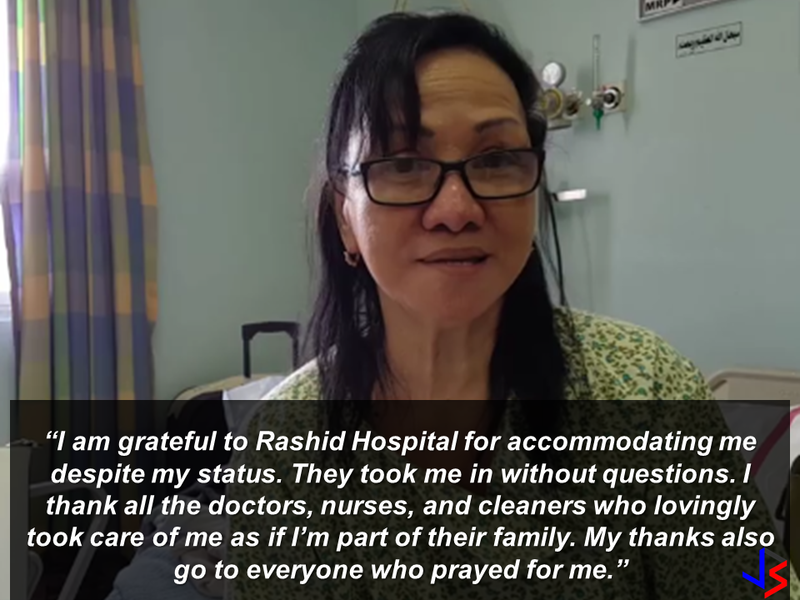 Through facebook search and with some friends, Ray helped Chenilla establish her identity while she was being taken care of at the Rashid Hospital. Luckily after four days, they were able to trace who she really is. 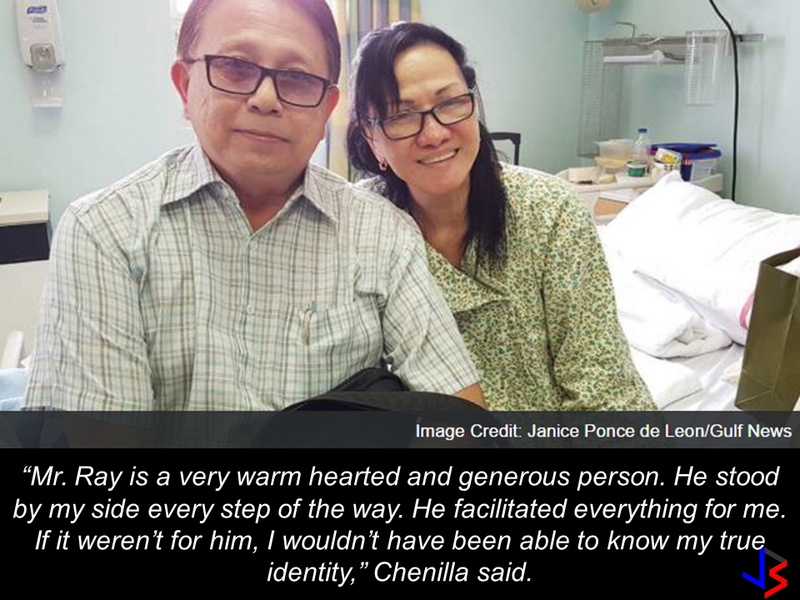 Angulo helped Chenilla in everything including the arrangements for her repatriation, though the Philippine Embassy and the consulate say they aided the repatriation. Chenilla needs to undergo one last operation when she arrived in the Philippines to remove her uterine fibroids. She said she will be taken care by her other daughter. Though she has been abandoned by her friends and a sibling who is also in Abu Dhabi, she said she found a family with the company of Angulo and for that she will be forever grateful. 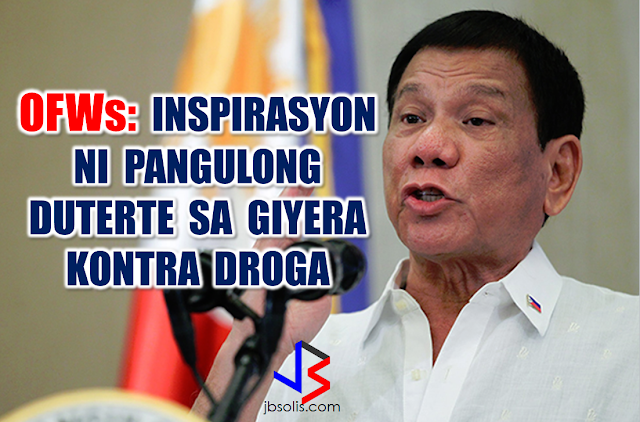 Meanwhile, a home of an OFW in Sitio Abuno, Barangay Pajac, Lapu-Lapu City was robbed. Maria Longcanaya, 40, an OFW in Saudi Arabia, said she knew them that is why she allowed them to stay at her house for more than two years. To her dismay, Santos Pangatungan, Danilo Longcanaya and Mae Longcanaya has robbed her house and took away her valuables amounting to P18,775. According to their neighbor, Victor Emnace Jr., the sudden disappearance of the three suspects had them thought that they did the robbery. A student in Mabalacat, Pampanga raked 58 medals from academic and different fields. 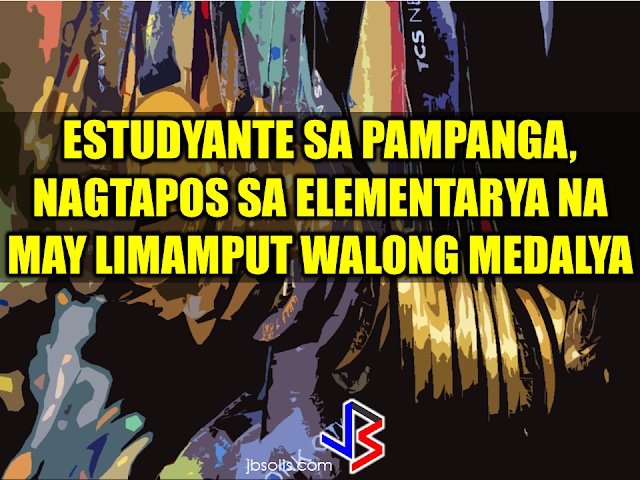 On his Facebook post, he said that this time it's heavier compared to the medals he got last year.Joshua Santiago, 12, graduated in Elementary at Mabiga Mabalacat Elementary School in Mabalacat Pampanga earlier this month. His video post with over a million views as of this writing shows how many medals he got. Most of his medals are from the swimming competitions where he joined and won including a chance to participate at the Palarong pambansa. Meanwhile, Kadamay leader admitted that she has far different status in life compared to her members. In an interview with Sheryl Cosim on News 5, Marissa Palomeno, admitted that she has two children who are both engineers and another child who is a financial analyst in Canada. Palomeno said even though she is far well-off as compared to her members, she does not forget where she came from and that is the common thing that makes her cling with the poor. 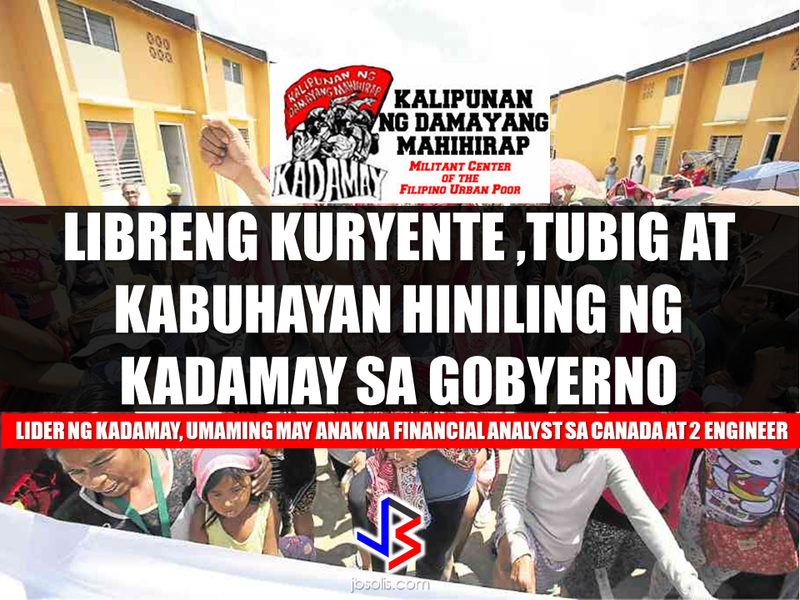 *Update: Due to the reports that Kadamay demands free water and electricity from the government, the group has shifted gears and released a public clarification that they only demand direct installation of water and electricity service. 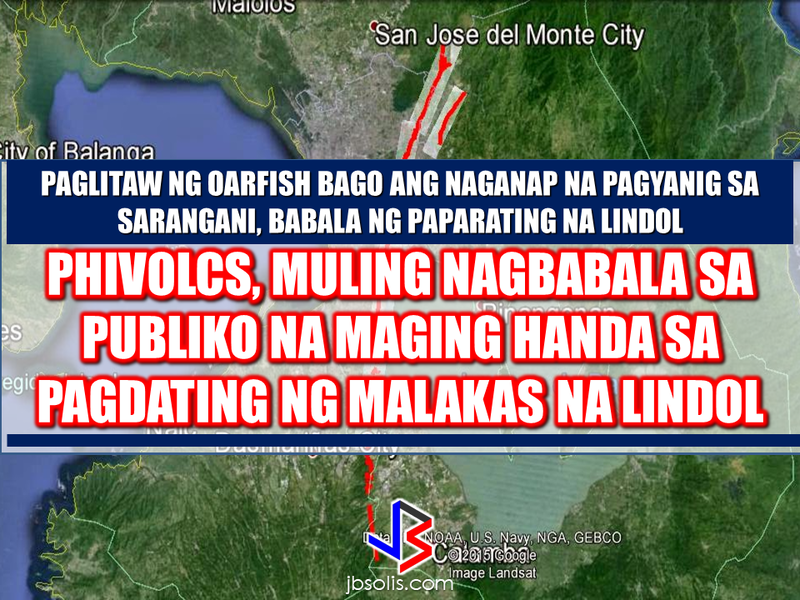 Solidum also reiterated the importance of having an earthquake drill. Determining what to do and where will be the safest place the family should go during earthquakes.Every family should also prepare a "go bag" or a backpack containing important documents, food, medicine, and other survival items that could last for at least 72 hours. The "Big One" is not a joke. Everyone should be prepared. Though we pray that it would never happen, readiness must be strictly considered to make our family and ourselves safe.